How to develop clairvoyance. Clairvoyance was popular long before Raven (in That’s So Raven) foresaw her parents busting her for dressing up like her aunt and skipping school. In fact, clairvoyance is usually what people think of when they hear the word “psychic”. But despite being one of the most recognized psychic abilities, clairvoyance is universally misunderstood. 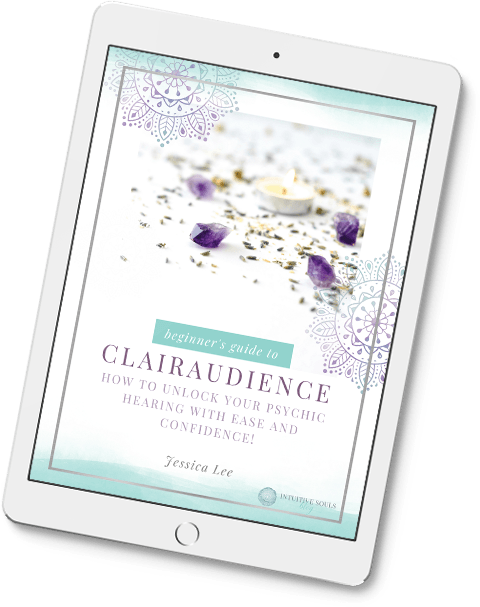 First, let’s lay the groundwork and talk about what clairvoyance really is and how to know that it’s one of YOUR intuitive gifts, then… we’ll get into some exercises that will develop your clairvoyance (also known as opening your third eye). A clairvoyant experience is kinda like watching a movie in your head. But unlike Hollywood’s version, these visions aren’t scary (who else lost a sleep after watching The Sixth Sense?) or over-the-top. Clairvoyant abilities are like GIFs for the psychic world! Clairvoyance does not stop you in your tracks or make you look like a wackadoodle in public. In fact, psychic visions can be REALLY subtle! Our trusted Higher Selves, spirit guides, angels, and loved ones in heaven are the ones who send us information through clairvoyance. Tip: As you continue learn how to develop clairvoyance, you’ll soon be able to know where the vision is coming from – whether it be one of your spiritual advisors or your late Aunt Susan. Right about now, you may be realizing that you have experienced clairvoyance throughout your life, not realizing what it was. That’s kind of exciting, right? Here’s another cool fact… everyone has the ability to develop clairvoyance. All you need is a little guidance as to how (which is what we’re going to talk about next). You’ve seen flashes of colored light, orbs, or twinkles. You OMG LOVE beautiful things. Everything from interior design to sparkly crystals light you up! You’re “artsy.” A walk through an art museum or coloring mandalas soothes your soul! Visualizing is easy for you. When I say picture Jon Hamm in your mind, you can totally see him. Here’s a full blog post with all the signs that clairvoyance is one of your gifts. First things first, you’ll need to follow the golden rule of psychic development: believe you can, and trust what comes. Our brains are trained to keep out bologna. Our frontal lobe just loves to doubt what pops into our mind and keep us “logical”. Clairvoyance defies what we’ve come to accept as logical. So your first instinct may be to think, “Oh, I just dozed off for a second, that wasn’t a vision”. But once you get started developing your psychic abilities, TRUST WHAT COMES… it’s there for a reason. I love this psychic development exercise because it requires pretty flowers (which us third eye people appreciate). But, if you’re like one of my best friends, who can’t stand the smell of real flowers in the house, just grab a few fake ones from the craft store. What you need: A few different types of flowers. Take one of the flowers and run your fingers over it. Note the colors, textures, and imperfections. Once you think you have a good picture of it, close your eyes and put the flower down. With your eyes still closed, recall everything you can about the flower… Picture the flower in your mind’s eye – down to every detail. Once you have gotten one flower down, move on to a different flower. Alternate clairvoyance exercise: Try this visualization with a leaf or pine cone. Remember: Clairvoyance is all about seeing via your third eye. Soooo, in order to have super strong third eye abilities, you need train yourself to easily see images in your mind’s eye. This way, when your Spirit Guides send you a message via your clairvoyance, you’ll be able to see it with ease! What you need: Your imagination! One of my favorite ways to do this, is to picture my perfect moment. Sometimes I’ve got my toes in the sand in Malibu with my husband smiling next to me. Other times, I’m front row at a Taylor Swift show, jamming out to Gorgeous. Whatever your moment is, visualize it with the intent of opening the third eye chakra and improving your clairvoyant abilities. You can visualize anything you want for this exercise… Places, numbers, symbols, or faces. The key is to get used to visualizing objects or whatever in detail. Grab a piece of paper and a few vibrant craft supplies (glitter, markers, paint, washi tape, etc.). Draw your initials on the paper and then get creative decorating it. Cover the paper with glitter, color it purple, or add polka dots! The more stuff you add, the better for this exercise. Stare at your awesome creation for 30 seconds or so. With your eyes still closed, try to recall everything about your design and hold it in your mind. Tip it side to side to see the glitter color change, and note the way the polka dots create a shadow on the page. These are super fun (even if you’re not working on how to develop clairvoyance), so invite a friend over, heat up some hot chocolate, and play on! Memory. Remember that game your teacher had you play when it was raining and you were stuck inside for recess? Well, it’s about to take on a whole new meaning! Pull out your deck of cards, and have your friend lay 3 card pairs (6 cards total) face down on the table. Flip one card up, and try to find its mate… using your third eye. Kitchen Recall. If you don’t mind your friend digging through your kitchen (and seeing your junk drawer), have her pull 10-15 items out and lay them on your table. Leave the room while she’s doing this, and then come back in to study what she’s done. Take a good look at the items, and then close your eyes (or leave the room). Picture what was on the table and how it was arranged. You can also write everything down, in detail, so you can open your eyes and see how you did! You should know by now that I rarely leave a blog post without telling you to do these two things… but it’s for a good reason! They are the 1-2 punch power couple missing from your life. Meditation to open the third eye. The third eye is where you’ll receive all your visions from, so it’s super important to have it open. You don’t have to do anything elaborate here… you can simply close your eyes, take a few deep breaths, and then start set your intention (to develop clairvoyance/open your third eye). Focus on your third eye and clairvoyant abilities. Imagine it opening and you receiving visions. You will probably experience slight tingling between your eyebrows (third eye chakra – Anja). This is normal and a sign that your third eye area is opening, further allowing your clairvoyant gifts to flourish. Yay! Strengthen your clairvoyance with a dream journal. Because clairvoyant visions can come through in your dreams, it’s nice to keep a dream journal. So start to keep your journal next to your bed to record your dreams as soon as you wake up. Using these tips, you will be able to develop your clairvoyance and increase your psychic sight. As you practice, don’t forget to fully trust yourself and your visions. It’s sooo easy to discount them and go back to a “logical” frame of mind. Developing psychic abilities may seem “too easy” or different than what you expect. However, we are all intuitive beings and therefore have natural intuitive abilities. So don’t think you CAN’T do it or be surprised when your visions start coming more frequently and easily… you’re on the right track!